Northamptonshire Rights and Equality Council (NREC) is asking you to support their sponsored Report Hate Crime event by donating as much as they can at www.localgiving.org/appeal/NRECStopHateCRISIS. We are attempting to remove 1000 illegal posts on Facebook in 4 weeks. The sponsorship is to replace £25,000 in lost revenue from local councils. We are asking those concerned about the recent spikes in hate related incidents to act now to save the organisation. NREC and it’s predecessor organisation has for the last 40 years helped the victims of racial and religious hate crime across the county. The horrendous austerity agenda Government has been inflicting on the country has been fuelling hate crimes across the land. Despite this both Northampton and Kettering Councils has dramatically reduced the grants it awards NREC. Last year Northampton Council awarded the Equality Council £21,000 in a joint bid with the Northampton Interfaith Forum, which this year this was cut by over 60% to £5000. Kettering Council also cut their grant from £14,000 to the same figure. This has severely affected the charity’s ability to survive in providing vital services such as supporting and representing individual victims of discrimination, supporting victims of hate incidents, raising awareness of the rights of individuals not to experience discrimination and to have their human rights upheld. Unless this money can be replaced it is estimated the organisation will not exist in 2 years time. A major factors the local councils made in deciding to cut the grants relates to Northamptonshire Police stating there is not a problem with hate crime in the county. Hate crime and incidents reports have been falling in Northamptonshire. NREC believes that this is as a result of local people’s falling confidence in the effectiveness of reporting. The drop in reporting is at odds with the recent report by Brandwatch which states Northamptonshire is a ‘hot spot’ of social media hate crimes. Social media hate has been in the headlines in recent weeks with findings from our own Government as well as other European Parliaments that these platforms are simply failing in its duties to remove such illegal content. Even investigations by the BBC has led to social media giants reporting them to the police when sending them examples of their failings. Northampton Rights and Equality Council have put a team together to attempt to remove over 1000 hate posts on Facebook in a sponsored ‘Report Social Media Hate Campaign’ over 4 weeks. 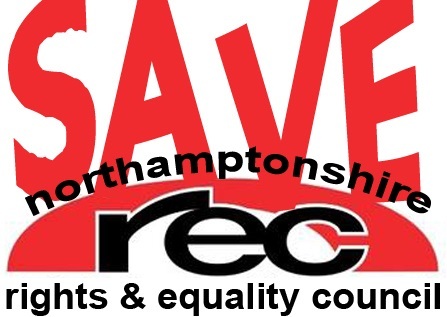 Anjona Roy, Chief Executive at NREC states, “The reduction in the award from Northampton Council was a complete shock, putting at risk the great work we do here at NREC. We need to help replace the £25,000 in lost funding and help secure our existence for years to come. We thought this was an appropriate response to highlight the fact hate crime now exists in different forms than putting Swastikas on pub toilet doors, as it was 20 years ago. Please sign up to our Sponsored Report Hate campaign by donating as much as you can at www.localgiving.org/appeal/NRECStopHateCRISIS. We and the victims of Hate Crime thank you in advance”. This entry was posted in Uncategorized and tagged appeal, cuts, funding, hate crime. Bookmark the permalink.